When you enter a shop or a boutique, the first thing you notice, except from products offered in front of you is whether the place is perfectly bright and shiny or whether the dirt reigns over everywhere. No matter if it is a small retail shop or an enormous and sophisticated boutique premises, they all require a regular and extensive cleaning. To provide an immaculate and outstanding appearance of the shop or the premise the company relies on preliminary tested cleaning products which do not pollute the air and the nature. When you make an appointment with someone from our professional team you will be given the opportunity to specify the exact cleaning needs for your store or shop. We will absolutely take into account every customer’s preferences, because they tend to be essential for our company. The company is aware of the fact that expensive cleaning procedures will not appeal to our customers and that is why we have established moderate prices combined with a first class services. The types of services offered vary and they could be combined with floor cleaning, dirt cleaning and whatever are the customer’s needs. The cleaners are supplied with all sorts of machines and instruments so that the performance of the work would be at high level. If you consider the cleanliness in your shop a priority our company is definitely the right choice. The clean and tidy store is always a plus for developing your business and for creating the proper atmosphere. The healthy working environment is more than important for maintaining higher cleaning standards. The specially trained staff will ensure all of this at preferential prices in the territory of London. 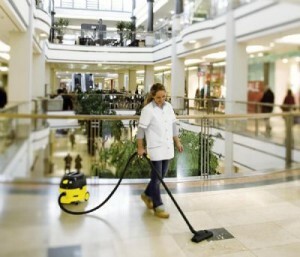 The cleaning services which are provided by our company will offer a perfection in every detail to satisfy your needs.